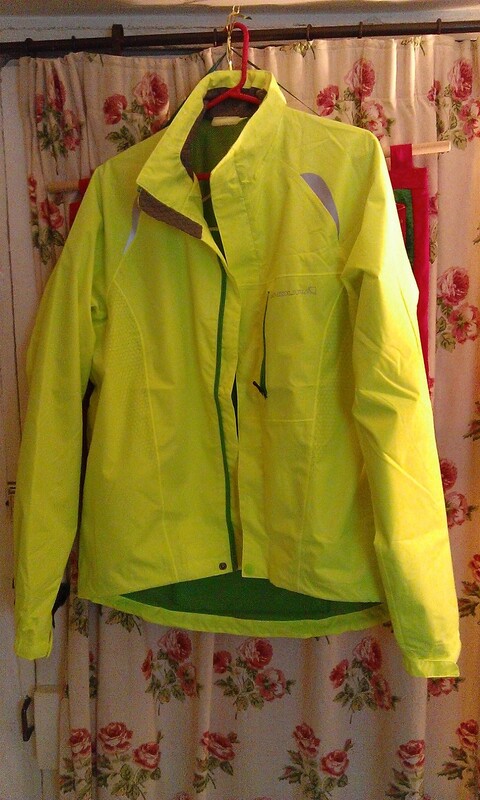 My new Hi Viz running jacket! Actually it’s a cycling jacket. I couldn’t find a Hi Viz running top which I liked, at a reasonable price and had sufficient protection from cold and chilling wind. Very competitive people may remark that it’s on the heavy side for running but that runs the risk of upsetting me. In this eventuality, I’ll challenge them to a duel of my choosing – a contest to see who could eat the most Brussels sprouts in twenty minutes, for example. The loser would have to sit very close to a naked flame for an hour. It gives me the jitters just to think about it! Cambridge parkrun today. The course was muddy and trail shoes were essential. Consequently my time was relatively slow. I looked up my brief personal record of runs for this time last year and my times showed little difference to today when course conditions were similar. Most of my running chums went to Wimpole Estate parkrun for their 100th anniversary. Ms Alive and Running and I were due to go but family circumstances dictated otherwise. Must sign up for Janathon (when I undertake to run and blog every day throughout January). This is very manageable if the runs are not too long and I don’t spend too long trying to be clever writing this blog. And the gods are willing to support me with drinks of ambrosia along the way. And the water nymphs along the River Cam don’t try to delay me as I run by. And the sun shines.